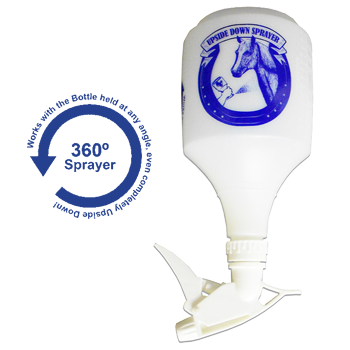 Natural HDPE bottle with blue horse graphic and Model 300™ Upside Down trigger sprayer. 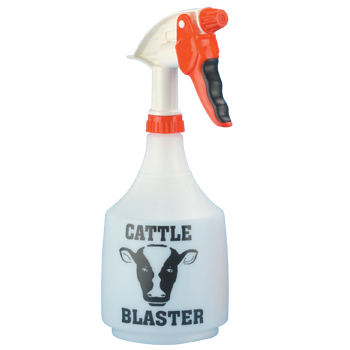 Natural HDPE bottle with black cattle blaster graphic and red Model 640™ Big Blaster trigger sprayer. 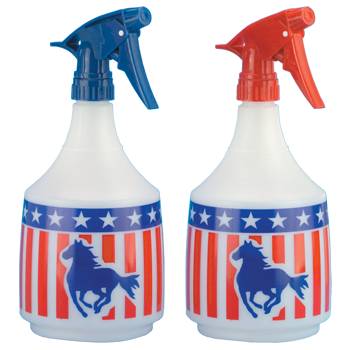 Natural HDPE bottle with stars, stripes and horse graphic and blue or red Model 300™ trigger sprayer. 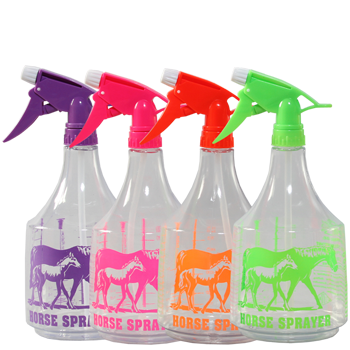 Clear PET bottle with assorted neon pink, purple, orange or green horse graphic and matching Model 300™ trigger sprayer. 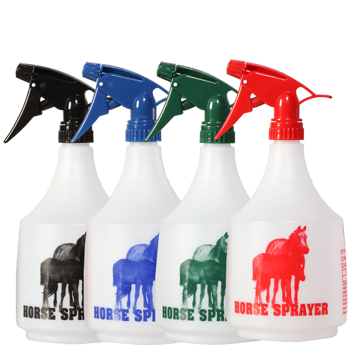 Natural HDPE bottle with assorted black, red, blue or hunter green horse graphic and matching Model 300™ trigger sprayer. 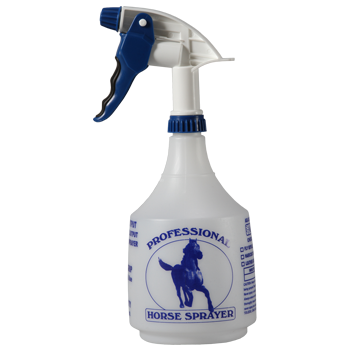 Clear PET bottle with blue horse graphic and matching Model 300™trigger sprayer. 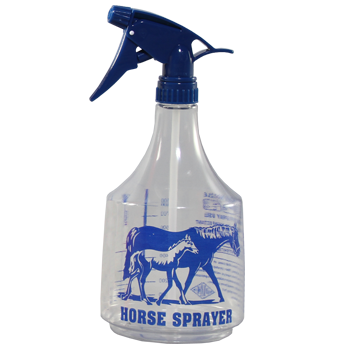 Natural HDPE bottle with blue horse sprayer graphic and blue Model 640™ Big Blaster trigger sprayer. 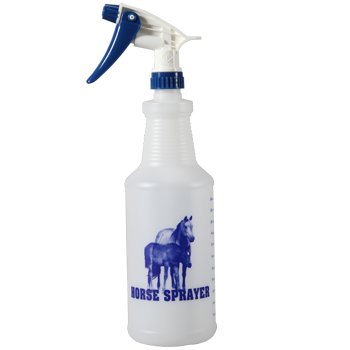 Natural HDPE bottle with blue horse graphic and matching Model 320™ trigger sprayer.